The piece on Calvin on necessity, promised for the middle of November, has grown a little and so I have decided to divide it in two, the first episode to appear in Helm’s Deep in December, the second in January 2012. To make up for this I here draw attention two previously-announced books which are now published. 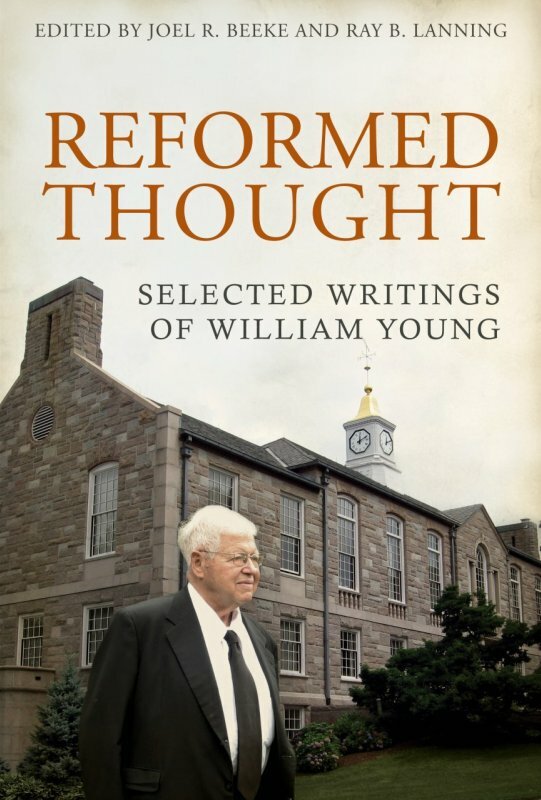 The first is William Young’s Reformed Thought: Selected Writings of Dr William Young, (Reformation Heritage). Bill is a nonagenarian, who at present has frail health. I learned much from him in earlier years and in fact the debt I owe to him is enormous. He taught for many years in the Philosophy Department of the University of Rhode island, and subsequently a minister in the Presbyterian Reformed Church at Greenwich, R.I. which he continues to attend. His Writings, some previously unpublished, include theological and philosophical articles, encyclopaedia entries, pieces from the magazine of his denomination, sermons and reviews. 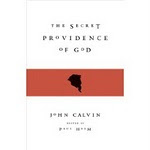 In one way and another they reveal the depth of his theological knowledge, and the acuteness of his judgment, and most of them indicate the strength of his adherence to the Reformed faith in its purest and most uncompromising expression, especially to the doctrinal and experimental writings of the seventeenth century. The book has taken a while getting to print, and has been helped along in its final stages by the energy and enthusiasm of Joel Beeke; so a special word of thanks to him. The second title is James Dolezal’s God Without Parts, (Wipf & Stock, Pickwick Publications) the wording of which is taken from Chapter 2 of The Westminster Confession, where God is stated to be ‘without parts’, and so ‘simple’. In a way the entire book can be said to be an articulation and defence of that entire chapter, or at least of its ontological assumptions. One wonders how much those who adhere to the Confession and extol its teachings are familiar and in sympathy with this material. It is surely part of the intellectual discipline of being a Christian that one inducts oneself into its theological grammar. James has an excellent grasp of both the historical and the contemporary dimensions of perfect being theology, and the work is to be warmly welcomed. He is currently a Research Fellow at the Craig Center for the Study of the Westminster Standards, Westminster Theological Seminary, Philadelphia. That’s it. These are the data. PH: "What does Paul say? That’s it. These are the data. So how do those who take the Gentile Christian view get from these statements to that view? I think, by two pieces of interpretation." SG: I question first the interpretation that "the Gentiles on occasion do by nature the things contained in the law." I don't think the interpretation "on occasion" can be borne by the Greek, because in my view ta tou nomou has to be in Greek idiom something rather more comprehensive than "things of the Law" or "parts of the Law": there is no sense of limitation in the phrase. Hence my view that the statement refers to those who are characterised by the same kind of "fulfilment of the Law" talked about in Rom. 8.4. Secondly, I've argued that the doing "by nature" is also a misreading: the word phusei goes more "naturally" in terms of Gk syntax with the preceding clause than the following: so the meaning of 2.14a is "For when the gentiles, who do not have the Law by birthright, do what is encompassed by the Law...". (The alternative, I would certainly concede, is not impossible.) I think one reason why the traditional reason becomes so well established is that when the Greek word order is followed by the Latin, it then becomes impossible for the "naturaliter" to go with the preceding habent, and it has to go in Latin with the following faciunt, because of Latin's different syntax from Greek. I hope I haven't just been playing the classicist card here, but I don't think it's so easy to isolate the data and their interpretation: the whole issue is one of translation. So how do those who take the Gentile Christian view get from these statements to that view? I think, by two pieces of interpretation. 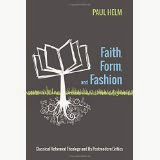 This does all touch upon your concern, Paul (Helm! ), about perhaps the principal point overall about “A.D.” matters intruding into a “B.C.” argument (reflected in the title “One step at a time”). I don’t think one can dictate in advance how Paul is allowed to argue. He doesn’t necessarily argue in the manner of a logician. (Rom. 3.1-8 is often taken by commentators as a kind of excursus, for example, which is flagging up in a preliminary way matters which will be dealt with at greater length in Rom. 9-11.) While I do think that Rom. 1.18 – 3.20 and beyond is an argument (or a kind of legal case), this does not require that everything mentioned in those verses is in terms of its content “B.C.” Presumably you accept this both in principle and in fact, because of course Paul refers to his gospel in Rom. 2.16. I wasn’t quite sure what your position was on Rom. 2.29, because it sounded an awful lot like you were conceding that he was a Christian. I do think this conclusion is unavoidable, given the business about circumcision of the heart by the Spirit. Again, this doesn’t need to mean that Paul is mounting an argument about what a Christian is, or how one can become one. But it does mean – as I think with 2.14-15 – that references to Christians are allowed to intrude when Paul is actually arguing about something else. One point about the significance of this debate. You remark at the beginning that it’s a “major error” to take the line that Wright and I take. I take it that this means one of two things (though there may be other options I can’t think of): either that it’s not necessarily important in its implications but is just plain silly, or that taking this line has big implications. The first might be right, but are there major implications to this debate? I don’t ask the question because I think this whole discussion is trivial, because I think understanding God’s word correctly is always important. But of course some things are more important than others, and so perhaps another concern implicit in your observations, Paul, is that you put this in the “really rather important” category.